The Jan. 30 – Feb. 5, 2017, edition of Brian Cormier’s Weekly Update is out! Like most everyone, I’ve had to have prescriptions filled from time to time. Some of them are only once, while others are for a period of a few weeks. And some for longer than that. Thankfully, any side effects have been very minor or not even noticeable. But sometimes, side effects can be horrible. One need only think of chemotherapy as an more extreme example of that. To be well again, sometimes we need to get even sicker first. Contradictory, I know. And there are many other medications with serious side effects, too. I can’t imagine being very ill and being required to take medication that I know will cause havoc with my body. If it weren’t stressful enough already, you then have to deal with a whole new set of ‘booboos,’ so to speak. I subscribe to Entertainment Weekly, an American entertainment magazine. Yes, I’m one of those rare people who still has a subscription for a magazine that’s actually printed on real paper! This seems to be more common in American media than Canadian, but pharmaceutical companies will often advertise new medications for a variety of ailments, including diabetes, congestive heart failure, psoriasis, etc. The ads must cost a fortune, but obviously the uptake more than pays for the marketing or they wouldn’t be doing it in the first place. Often, an ad will be one page of creative and two full pages of warnings in type so small that you need a magnifying glass to read it. I’m sure the reasons for it are due to government regulations and public safety – and that’s a good thing – but two full pages of disclaimers about taking the product? I guess that’s what happens when one lives in a litigious society like the U.S. where lawsuits are as common as leaves on trees. And if you listen to satellite radio, you’ll often hear commercials about new medications followed by a disclaimer that is sped up so fast that it is practically indecipherable to the human ear. It’s quite astonishing. Clearly, because the voice is sped up so fast, it’s simply there for legal purposes, not for the listener to actually understand. Why bother, then? Oh yeah, it’s all about avoiding that lawsuit, eh? Let’s hope this pile of pills helps him despite the warnings they likely carry! Like I said, I hope I’m never sick enough to have to resort to some weird new drug which I had to learn about on television or the radio, but if I do, I’ll have to skip the mandatory warnings. Way too scary! I don’t know, but that all sounds like scary stuff to me. And I’m only half exaggerating. Have you ever listened closely to those scary warnings? I seriously don’t know what I’d do if I actually read all the side effects of some new medication I was forced to take. But that’s just me – and it’s all hypothetical at this point. 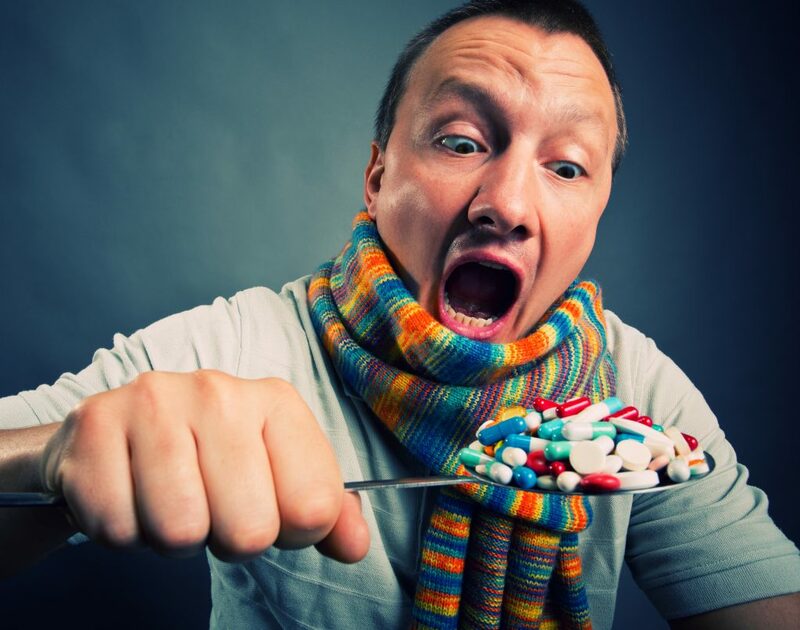 There are so many people out there suffering from terrible side effects from medication that is keeping them alive, pain-free or what have you. Sometimes, the cure is worse than the illness. If you’re like me, you’ve likely heard of people who refuse chemotherapy treatment for a second time because they can’t bear the side effects. I consider myself very fortunate. I’ve never had to make one of those terrible decisions about a bad quality of life with medication or an even worse quality of life without medication. What a terrible quandary. Medical science is evolving all the time. I pray that any medication I’ll need in the future isn’t toxic. Besides, I wouldn’t look good with chicken feet growing out of my forehead. But then again, I’d be alive. The Jan. 23-29, 2017, edition of Brian Cormier’s Weekly Update is out! Last week, I wrote about my poor little cat Cindy who went to the Rainbow Bridge on Jan. 3. She would have been 15 this year. I’d had her for nearly 14 years. But as you know, with pets, a dozen or so years is what we get – more than enough to love them to bits and miss them forever. After writing the column, I decided immediately that I wanted to adopt again sooner rather than later. The house was empty without a cat. The sunbeam on my bed was lonely – and the dog is too small to jump that high to enjoy it. The bed is one those high ones. I practically need a ladder to get into bed every night. God help me if I ever fall out! When I mentioned online that I was looking – perhaps for a bonded pair – a couple of people sent me a link to a pair through Sasha’s Cat Rescue. Their names were Mina and Meadow – a mother and daughter pair. A previous attempt to separate them (which would have increased their odds of adoption) did not go well since Mina was extremely attached to Meadow and could not live without her – literally. I saw those messages about Mina and Meadow as a bit of a sign from above. They started showing up in my news feed, too, after I’d liked Sasha’s Facebook page. I went back to look at their photos often. Without telling anyone, I’d started referring to them as “my girls” – at least in my head. For me, they’d already been adopted emotionally. From then on, it was a matter of paperwork, adoption approval and a visit to their foster home. They’d come to Sasha’s last summer from an unsafe situation outside of Moncton. Poor little Mina had several litters by the time they managed to rescue her and get her fixed. Thankfully, they got Meadow before she’d had any litters. 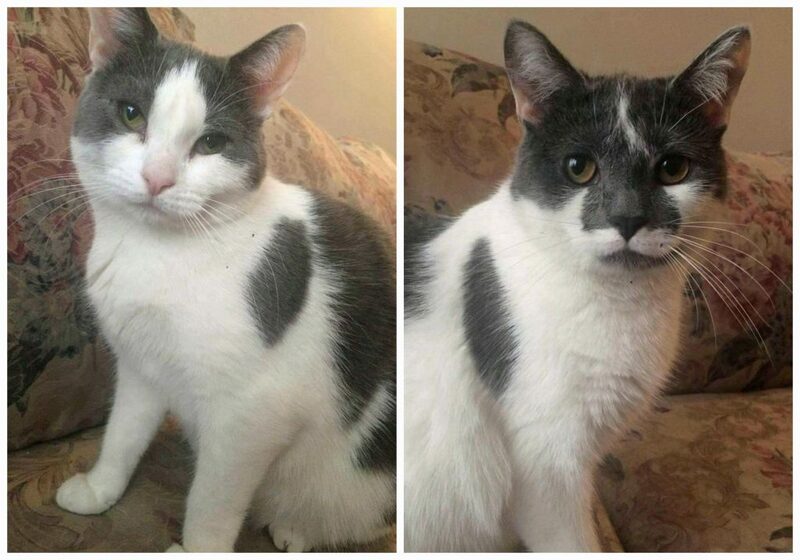 They were both spayed and put into a foster home. This was last summer. Fast forward to January and they were still waiting for their forever home. Well, I just couldn’t bear the thought of them needing a permanent home, even though it was quite apparent that their foster mother was taking good care of them both physically and emotionally. They’d come out of their shells and had become quite happy and content. I scheduled a visit along with my son and the dog. When we arrived, Milane (the dog) ran right up to Meadow to say “Hi!” and Meadow promptly ran under the sofa. Well, this started off well. Milane was so excited to have some little friends around. It was cute, but she wasn’t helping. Eventually, we dug them out from under the sofas and I managed to pet them. I knew they would be very timid, so I certainly didn’t hold that against them. I would give them all the time they needed. I decided right then and there to adopt them. I picked them up on Saturday and so far, so good. They’ve been hanging out in the basement, mostly, and have been coming upstairs to eat at night. As the days pass, my son tells me that they’re warming up to him (his living space is in the basement). They love watching his big fish tank. They stare at him a lot. Each day, they get closer and closer. Meadow has even tapped him on the leg a few times. She’s probably checking to see if he’s safe to play with. Meanwhile, I’m upstairs dying of jealousy. What am I? Chopped liver? Well, maybe if I was actually chopped liver they’d be upstairs with me by now. I even resorted to tuning the TV to the Aquarium Channel to compete with my son’s fish tank. How sad is that? I need help. I know… I know… It’s not about me right now. It’s about them. The adjustment is going according to plan. They’re spreading their wings (or paws, I should say) every day and becoming more comfortable. Hey, I’ve got the next dozen years (hopefully more) with them, right? This will all be but a distant memory soon when they’re sitting on my lap getting their faces scratched (cats love that!) and their bellies rubbed. Mina and Meadow, I hope you live long and happy lives here. I can assure you that I’ll do everything possible to make it so. And may you discover the sunbeam on my bed soon. He’s been lonely since Cindy left – and has lots more warmth to give to two little creatures so deserving of love and security for the rest of their lives. 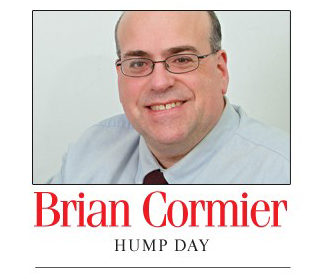 The Jan. 16-22, 2017, edition of Brian Cormier’s Weekly Update is out!